The 31-inch 31MU95 will feature a Real 4K resolution of 4096 x 2160 with a 19:10 ratio. Standard Ultra HDTVs and 4K displays usually run at 3840 x 2160 pixels with a 16:9 aspect ratio, by comparison. Another interesting feature is that along with its 20Gbps Thunderbolt 2 port, the display will fully support the 4K format the RED Scarlet and Epic cameras use. LG says that this will allow you to monitor footage while capturing and archiving, something that sounds like it could come in handy for those in the film and post-production businesses. 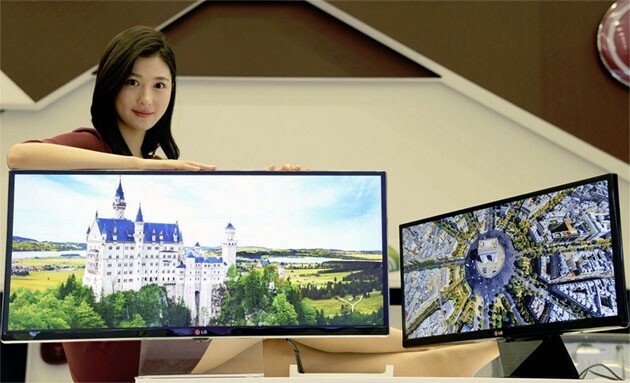 LG will also have two other models available, a 34-inch and a 29-inch with a 3,440 x 1,440 resolution and 21:9 aspect ratio. Both of which will come with LG's color calibration software. LG is yet to divulge any specific pricing on these 4K displays, but based on similar offerings from competitors, most believe the 31-inch model could land north of the $3000 price point. With CES just around the corner now, it shouldn't be long before we get solid details on LG's new display options.